Local market was once again up on global investor currency trade. Weaker USD is bad for Japanese Manufacturers and good for Aussie Banks. Even miners recovered on stable China data while beaten up retailers saw some love on value and on rate-cut hope after another weak consumer sentiment. The best performing sectors were Health Care, IT and Industrials while the worst performers were Energy, Telecom and Utilities. 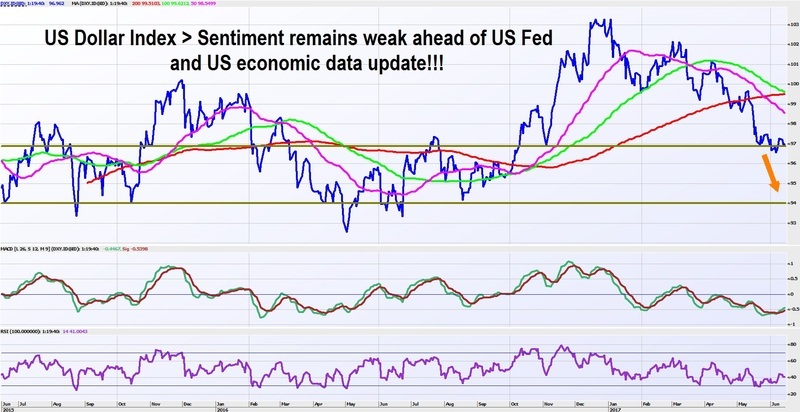 Big macro 24 hours ahead…(1) EU Industrial Production (2) US inflation (3) US retail sales (4) US Fed rate cycle and economic outlook update (5) Aussie Employment Market Update. Markets are confused on what the US Fed is going to flag and where the USD goes. Sell Gold and buy Health Care stocks on worry that USD may strengthen on US Fed maintaining outlook while Banks are running on weaker USD to boost AUD. One of that trade will prove to be correct and the other should unwind tomorrow. If you are a betting man, my money will be on US Fed staying away from flagging any change…not sure how the market will react to that…to be fair, it is almost impossible for US Fed to narrow down outlook with so much moving parts just in US fiscal policy.